1. COMPANY: The Centre for Counterintelligence and Security Studies (CI CENTRE)® is a private business based in Virginia, USA that provides training, conducts research, and maintains sole ownership of the website SPYPEDIA®. The website is copyrighted 2011 The Centre for Counterintelligence and Security Studies, a David G. Major Associates, Inc. company. 3. MEMBERSHIP APPLICATION: Your membership application to SPYPEDIA® will be subjected to review and approval. As a private company, CI CENTRE reserves the right to decline any individual or group application and not provide its reasons for its decision. 4. CLASSIFICATION LEVEL: This website and all information contained within is at the UNCLASSIFIED level. 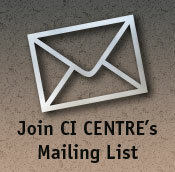 Everything the CI CENTRE has posted on the site is unclassified and comes from open sources. All information, documents, messages, and profiles uploaded to the website by the user will be at the UNCLASSIFIED level. Any breach of this term will result in the immediate notification of proper authorities and termination of the violating account without refund. 5. ACCESSING THE SITE: You may NOT SHARE your unique user ID and password with others to gain access to the SPYPEDIA™. Sharing your access information with one or more persons will result in an immediate suspension of your account without refund. Each individual member is required to have a unique account within the system. You also may not transfer your account to another person or attempt to access an account belonging to someone else. You are responsible for the protection of your user ID and password. CI CENTRE is not responsible for content uploaded, or outside member use that is a result of disseminated access information. You are responsible for all material posted on the website by your unique profile. 7. SOCIAL NETWORKING: While this website is primarily that of a continually updated research database, there are social networking features built in. You may choose to use these features or choose not to. If you choose to use this feature, you are bound by these Terms and Conditions involving all features contained within the social network. Additionally, you assume responsibility for participating in accordance with the regulations and guidance of your organization. You are responsible for your use of the website, for any content you post to the website, and for any consequences thereof. The content you submit, post, or display will be able to be viewed by other users of the website and by employees of the CI CENTRE. You should only provide content that you are comfortable sharing with others under these Terms. 8. YOUR PROFILE: If you choose to engage in the social networking features of this website, the CI CENTRE reserves the right to monitor and remove material that is in violation of these conditions or that which runs counter to the company's mission and ethical guidelines. Furthermore, the CI CENTRE reserves the right to warn individual members regarding inappropriate content, and if necessary, revoke access to the website without a refund. Any material you post should relate to the counterintelligence, security and counterterrorism disciplines. Material not related to the subject matter of the site may be removed by the administrator. 9. ONLINE CIVILITY: Content uploaded and behavior in the online community is expected to mirror the professional nature of the website. There will be no ‘flaming', disparaging, bullying, harassing or attacking others. Disregard for the online civility guidelines will result in the removal of the material and a warning to the member. Repeated or egregious offenders will have their access to the website revoked without refund. 10. PRIVACY: Non-members cannot see any portion of SPYPEDIA® or members' profiles. You may set elements of your profile to be hidden from other members on the site. However, this is not an anonymous membership site and you cannot engage in this community anonymously. When you post a comment, your name and organization will be listed, i.e. "John Smith, ABC Organization.” This is for transparency and accountability, ensuring that members stand by the content and communication brought to the website. 11. LINKS: This website may contain links to other websites. They are provided for your convenience. These links do not signify that we endorse the website(s) and we are not responsible for the content of those websites. 12. YOUR INFORMATION: All information provided for the CI CENTRE (personal data, credit card information, etc), will not be sold or given to any other company for commercial reasons. 13. DATABASE MATERIAL: We do not make any warranty or guarantee regarding the accuracy, timeliness, performance, completeness or suitability of the information and materials found or offered on this website for any particular purpose. You acknowledge that this information and materials may contain inaccuracies or errors and we expressly exclude liability for any inaccuracies or errors to the fullest extent permitted by law. 14. COPYRIGHT NOTICE: The SPYPEDIA® trademark and service mark and logo is owned and operated by the CI Centre. CI Centre is a veteran-owned small business founded in 1997. Our mission is to educate the private and public sectors about the strategic importance of security and counterintelligence. Our programs are designed to enhance our clients' missions, and to protect information, facilities, and personnel from foreign intelligence collectors, global terrorists, cyber criminals, and competitor threats. SPYPEDIA® contains significant amounts of original material produced by the CI Centre in written, audio, and video formats by our world-class team of experts who are recognized counterintelligence, security, intelligence, and counterterrorism professionals. 15. COPYRIGHT OBJECTIONS: If anyone has a legitimate issue with the copyrighted source or source attribution of any material appearing on this site, please contact the CI Centre at contact@cicentre.com and identify the specific material in question. If requested, we will delete any copyright material, or will provide corrected and updated attribution, once proper legal rights are ascertained.